The Camps are full. Please call 252-232-2262 for waiting list information. 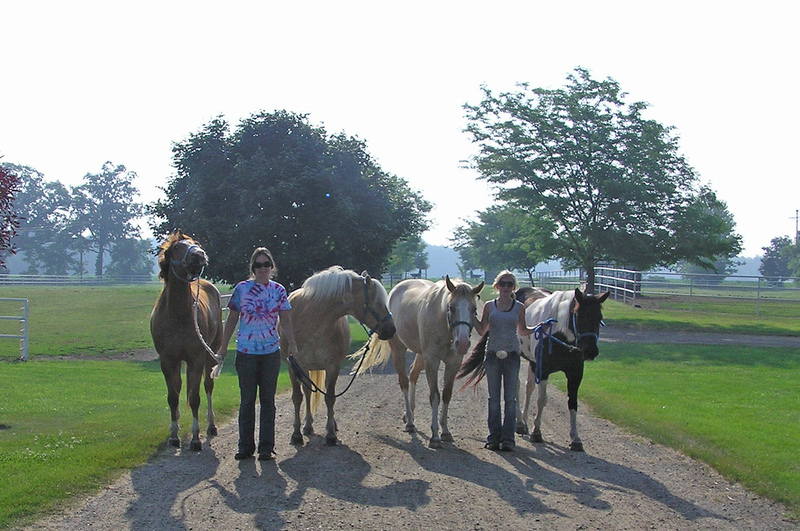 Saddle up and get ready because registration is now open for Happy Trails 4-H Horse Camp. Do you love horses but don’t have one of your own? Well, N.C. Cooperative Extension, Currituck County Center is hosting three, 3-day 4-H horse camps specifically for non-horse owners and beginner horse owners. The first camp will be June 25–27, the second will be July 16–18, and the third will be July 22–24, 2019. All three camps will be from 9 a.m. to 3 p.m. at the Currituck County Rural Center (CCRC) located at 184 Milburn Sawyer Road, Powells Point, NC. At each camp, youth ages 7-14 will learn about horse care, horse/rider safety, responsibility, and riding styles in a fun and exciting environment. Horse loving participants will also learn the basics of equine science and horsemanship. The registration fee for each camp is $50.00, which covers educational supplies, a camp souvenir, insurance, and a camp finale pizza party. Pre-registration by June 14, 2019, is required. You can register online or by contacting the office at 252-232-2261. Payment must be received within 5 business days of registering and can be made in person at the N.C. 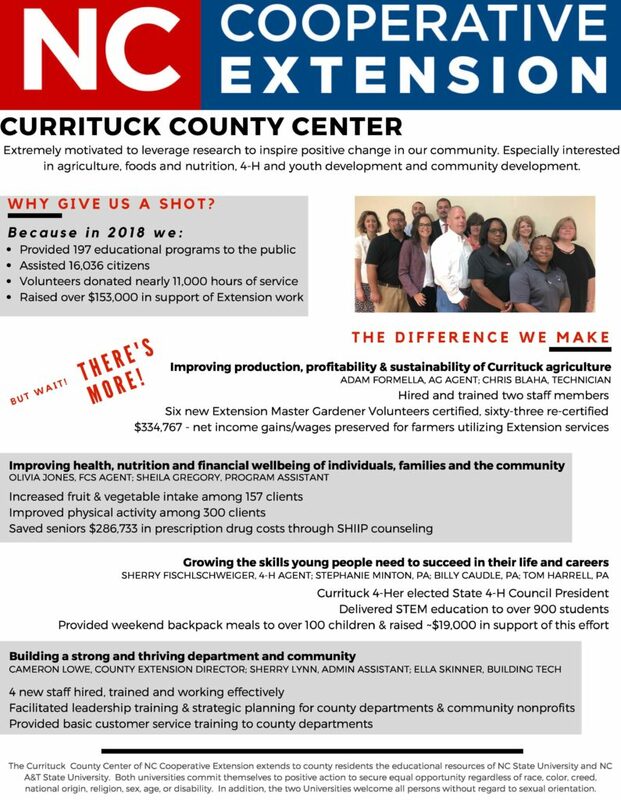 Cooperative Extension, Currituck County Center or by mailing a check made payable to Currituck County to 120 Community Way, Barco, NC 27917.